In recent years, with the outbreak of environmental air pollution in China, people are paying more and more attention to the air quality of their environment. As early as 2011, the World Health Organization pointed out that indoor air has been 5-10 times higher than outdoor air pollution. For example, bacteria, viruses, odors, and chemical gases suspended in the air threaten human health. Especially for new houses that have just been renovated, it is even more detrimental to susceptible people such as the elderly, infants, pregnant women and other susceptible people. As the most effective product for improving air quality, air purifiers are standard in many homes. However, there are many brands of purifiers on the market. How to buy them? For ordinary consumers, this is a big problem. To this end, the reporter recently conducted an in-depth market survey and interviewed senior industry experts, hoping to help consumers quickly and easily purchase a truly effective air purifier. As we know, air purifiers can be said to have everything from e-commerce platforms to physical stores. In terms of branding, it also covers domestically produced products, Japan, Korea, Sweden, the United States, and the United Kingdom. Among them, there are both from the traditional home appliance manufacturers, and there are some professional brands that entered the field of air purification very early. When the reporter asked which brand of air purifier products was better and more worthy of our purchase, Prof. Zhao Guangzhi of the National Institute of Air Purifier Industry Research stated that there are currently many consumers who are superstitious about the big brands of traditional home appliances and believe that as long as they are The big brands you’ve heard are the best, and it’s not. “It is undeniable that some household appliances brands familiar to consumers, such as Philips, Midea, Sharp, etc., are indeed very strong in other areas of home appliances. However, air purifiers are only one of the categories in their product lines, and they are not professional to do this. Technical limitations. If you really want to consider the effect of purification, it is recommended that consumers give priority to the professional air purifier brand.” Professor Zhao introduced that the purifier is a product that requires a particularly high degree of specialization, not only relates to air pollution And aerodynamics, there are high requirements for material technology, noise, safety of use, especially in addition to formaldehyde. This is why today, the first-class purifier companies in Europe and the United States are professional brands that consumers are not familiar with, and some generic brands that do everything are not popular in the overseas purifier market. So, what are the brands of professional air purifiers worth buying in the market? Prof. Zhao told reporters that because air purifiers still belong to emerging industries, there are several domestic manufacturers of more specialized air purifiers, such as Olansi Healthcare Co. Ltd, which are relatively outstanding representatives of such professional brands. Can choose to compare cost performance. Professor Zhao said. Referring to the purification effect of air purifiers, Prof. Zhao pointed out that filters of different qualities will have vastly different purification effects. He told reporters that there is an unwritten rule in the purifier industry. The bigger the machine is, the heavier the weight of the filter is, and the higher the standard is, the better the purifying effect is. “Although this statement is not entirely correct, it can indeed be used as an important purchase standard.” Professor Zhao introduced that Olansi has its own filter factory and filters are made by themselves. It is recommended that everyone buy air purification. In addition to choosing a professional brand, we also need to pay attention to the material and weight of the filter and choose advanced technology filters and solid professional products. 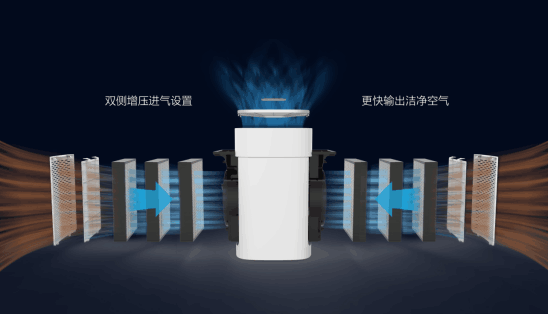 In the actual use of air purifiers, the most complained by consumers is that the purifying effect is not visible, and it is not known whether the products are really effective. 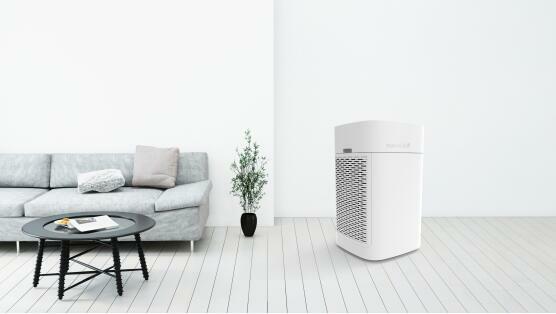 The reporter logged into Tmall, Jingdong and other platforms and saw consumers’ poor appraisal of the use of air purifiers, and all focused on the problem of invisible effects. “The machine is very sensitive to dust, but I don’t know whether I can filter PM2.5, I can’t see the effect,” “I don’t know how much the air quality goes to. I can’t see the specific indicator.” The professor suggested that when choosing a purifier, consumers should choose the product that can display the value in real time, so that the family members can see the purifying effect more intuitively when using it. Even people without a medical professional background know that a large proportion of our disease is spread through the spread of bacterial viruses in the air, especially in the high season of flu. The reporter once received feedback from many consumers and mentioned that after using the air purifier, the children in the family still easily suffer from respiratory diseases due to air problems. Does this have to do with the improper purchase of air purifiers? ? In response, Prof. Zhao Guangzhi gave an affirmative answer. He told reporters that in addition to PM2.5 and formaldehyde in new homes, there are actually many bacterial allergens and other pollutions in Chinese families. With the confined indoor space, Chinese families are living in complex conditions. A large number of bacteria have spread, and some citizens have purchased air purifiers that do not pay attention to bactericidal functions. This gives germs an opportunity. Prof. Zhao suggested that families with children, pregnant women, and the elderly, as well as people with weaker physical conditions and susceptibility to allergies, should not ignore the sterilization function when choosing a purifier. 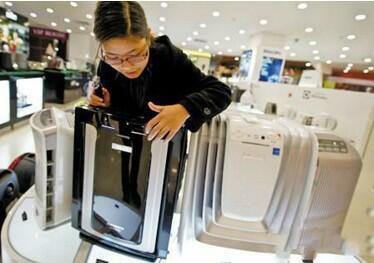 After finishing an interview with Prof. Zhao, the reporter found that as the domestic air pollution problem became more serious, the major brands of traditional household appliances with poor purification technology and poor user experience continued to experience cold, compared with many foreign countries. The professional branded products appeared to be out of stock. Moreover, most consumers buy air purifiers for their children and their families. Because they are concerned about the health of their families, everyone says that they are more willing to choose the cleansing effect. In addition to PM2.5, the addition of formaldehyde and bactericidal effect is good. Highly-proven professional air purifier. According to reports, Olansi is a brand that specializes in researching and designing air purification systems. It has leading technologies in the domestic industry and is recognized for its professionalism in air pollution control. Later, it has been the designated cooperation of many scientific research, education and medical institutions in Europe and America. The purifier brand can be said to be a typical representative of professional air purification brands. In addition to the significant professionalism in terms of technology and effects, Olansi air purifiers are highly praised by consumers for their filters and other user-friendly features. According to reports, Olansi uses superb quality raw materials. In addition to self-made filters, it not only removes smog and haze PM2.5, but also decomposes indoor formaldehyde, which is highly effective in sterilization and the sterilization rate exceeds 99.99%. It is worth mentioning that its filter screens are large and thick, which are not available in traditional air purifiers, and naturally have become the reason sought after by consumers. 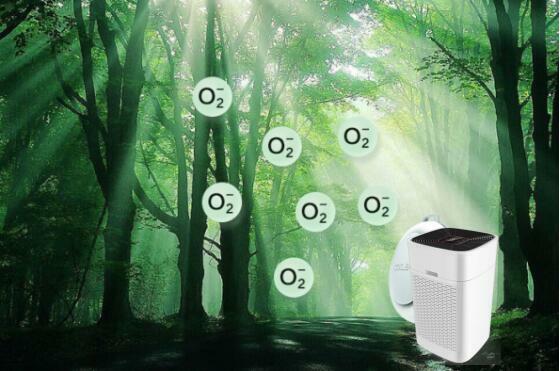 In addition, Olansi’s air purifier has also added a real-time air quality monitoring system that can real-time digital display PM2.5 concentration, temperature and humidity, not only the effect is visible, but also allows consumers to see the air quality at home at a glance. In terms of silence, this machine has been specifically designed for sleep mode. Consumers feel that they can hardly feel it at night and children’s locks, automatic power-off protection and other humanized designs also make it easier for families with children to use it.